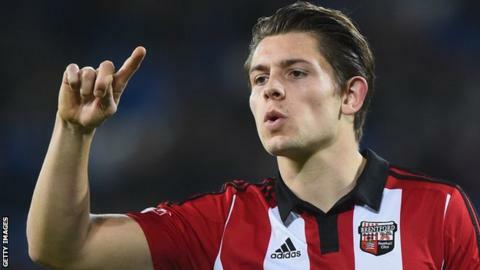 Burnley have completed the signing of Brentford defender James Tarkowski for an undisclosed fee. The 23-year-old made himself unavailable for the Bees' game against Burnley in January, which Sean Dyche's side won 3-1, after rumours of a move to Turf Moor. The former Oldham centre-back, who has signed a three-and-a-half-year deal, had since returned to training. He is not available for the game against Sheffield Wednesday on Tuesday. "James is a player I have known for a couple of seasons and I've monitored his progress from Oldham, right the way through to now," boss Dyche told the club website. "He is at a good age, has gained a lot of experience over the last couple of seasons and I feel he can be a big part of us going forwards in the future." The Bees have also announced Ryan Williams, Montell Moore and Josh Laurent have left the club by mutual consent.